Tony Bennett and Edward James Olmos are among the celebrities joining a public media effort to boost school graduation rates. 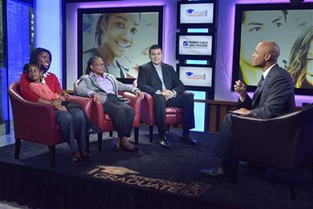 The Corporation for Public Broadcasting and TV station WNET New York announced details of next month’s American Graduate Day 2014. The daylong broadcast will include interviews and performances celebrating the work of those nationwide helping youth to succeed at school and work. Also set to participate are Olympian Jackie Joyner-Kersee, Colin Powell and actress Allison Williams and her family, including anchorman dad Brian Williams. Author Wes Moore will host the third American Graduate Day, airing Sept. 27 on public stations (check local listings) and available online. The program’s part of an initiative supported by the Corporation for Public Broadcasting to address the U.S. dropout crisis.